Many internet users, whether beginners or power users, don’t think twice about the browser they use. According to this analysis on Sitepoint, Google Chrome is tops in the market with over 54% of all Desktop and Tablet users. So many features seem similar on different web browser products, and there may be a preferred browser for office or home use, but most people don’t really think about their options when given the opportunity. However, there are significant differences among the various free browsers available today. 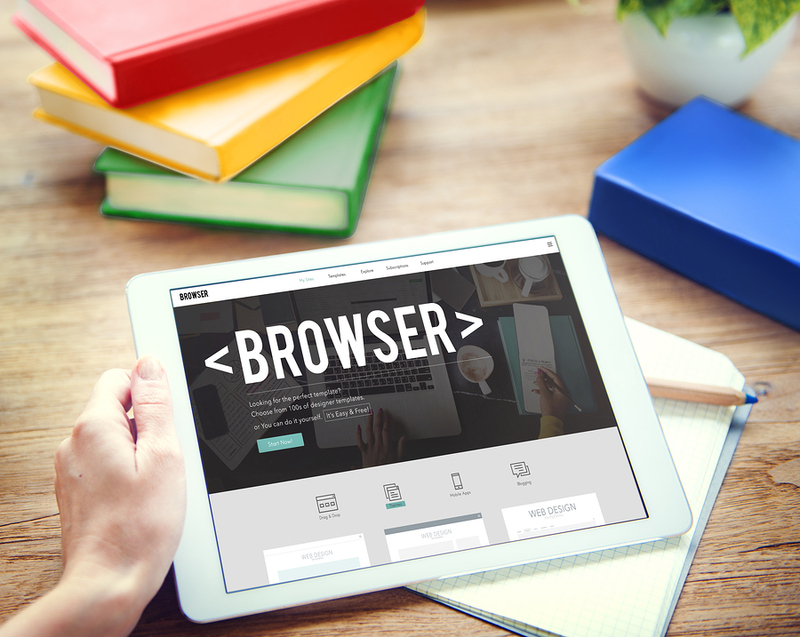 Let’s take a look at some of the key differences among these 10 free browsers, which include the familiar Chrome, Firefox and Internet Explorer along with some great alternatives you might not have even heard about before. OK, we’re going to go ahead and assume you’re already familiar with the big players in the Web Browser world: Google Chrome, Firefox, Internet Explorer, and Safari. But what about the other six free browsers in our list? Here’s a quick look at these lesser-known free web browsers. Available in two versions, ultimate and lite, Avant Browser features quick page loading speed, low resource consumption, and built-in advertisement and pop-up blocking. Deepnet Explorer brings together the web browser with an RSS news reader, P2P client integration and built-in detection and protection from phishing attempts. Maxthon is the perfect web browsing alternative for people who really like having options. It boasts a dual-screen option, extensive filter functions, and a built-in RSS reading feature. Despite a strong fan base, the Opera Browser never really has been able to get the same attention as Chrome, IE, Firefox or Safari. This is a shame because it’s a great all-around web browser. This web browser with a cute little name is like a little brother to Firefox. It’s built by the same people–the Mozilla Foundation–and it shares a lot of similarities. SeaMonkey attempts to bring broader Internet functionality to the browser, and includes an RSS Feed client, IRC chat and even a built-in HTML editor. Torch Browser is an alternative browser built on Chrome that includes several compelling new features. It boasts audio & video download via streaming, a BitTorrent manager, it’s own download manager and several built-in social functions. Your time is precious and you don’t want to waste it waiting for applications to load, especially a Web browser, which can be opened multiple times over the course of the day. And while initial loading speed isn’t necessarily the most important factor, it can be a leading indicator of overall performance of the browser. In recent online tests using a special stopwatch utility, here are the three fastest-loading browsers from our group of 10. This is a very speedy bunch of web browsers. When the startup test was performed again, this time by loading each browser 10 times and calculating the average, Firefox again came out top with an average startup time of 1.09 seconds, followed by Safari (1.3 seconds) and Torch (1.5 seconds). When it came to the navigation time to go from a browser to a different website, Torch was tops (2.8 seconds), followed by Firefox (3.21 seconds), and Opera (3.29 seconds). When it comes to operating systems, there is not a lot of variance among browsers. All 10 support Windows 8, Windows 7, Windows XP, and Windows Vista. All but four (Avant Browser, Deepnet Explorer, Internet Explorer, and Torch) support the Mac OS. Only four browsers (Chrome, Firefox, Maxthon, and Opera) can be found on Android while only four (Chrome, Maxthon, Opera, and Safari) have iOS editions. Web browsers are intuitive for both basic and advanced internet users. But every once in a while, you get stuck. When that happens, you want to be sure there are plenty of available resources to help you out. Of the 10 browsers listed above, there are many commonalities involving technical help and support. Each browser provides the following resources: an online knowledge base, user forums, frequently asked questions, and email support. Nine of the 10 offer an online user guide (Avant Browser is the exception). Eight of the 10 provide user tutorials (Avant Browser and Deepnet Explorer do not). The one area where three browsers stand out from the crowd is old-school telephone support. Only Internet Explorer, Opera, and Safari let you get another human being on the phone to talk you through issues. When taking speed, support, and systems into account, there are major differences among available browsers. Taking each for a spin lets you find the one that works best for you.